• The Android Marketplace is the biggest deal, when it launches later this summer. At first, it'll just be apps from Google-approved developers to set standards. The most awesome kind of app we're going to see are multi-screen apps—apps specifically designed to span your Android phone/tablet to the TV. 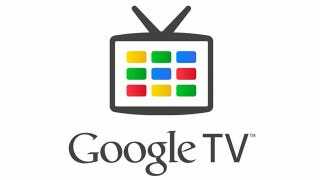 Google's going to pushing them totally hard as a huge part of what makes Google TV special. Think things like poker games on the big screen, with individual controls on your own phone/tablet. And other crazy ways to control Google TV from your phone from app developers. • A new, "simplified" UI. Google wouldn't talk about what it looks like, unforch. • The apps that are getting the most usage on Google TV now—Netflix, YouTube, Google Search—are going to see some "enhancements," whatever that means. Also, the feature parity that Google's promising across Android later this year as they merge the various branches of the OS together is going to huge for Google TV, too. It means everything in your Google cloud—music, movies you've rented from Google Movies, etc.—accessible on any Android device, including Google TV. That's the idea, anyway.